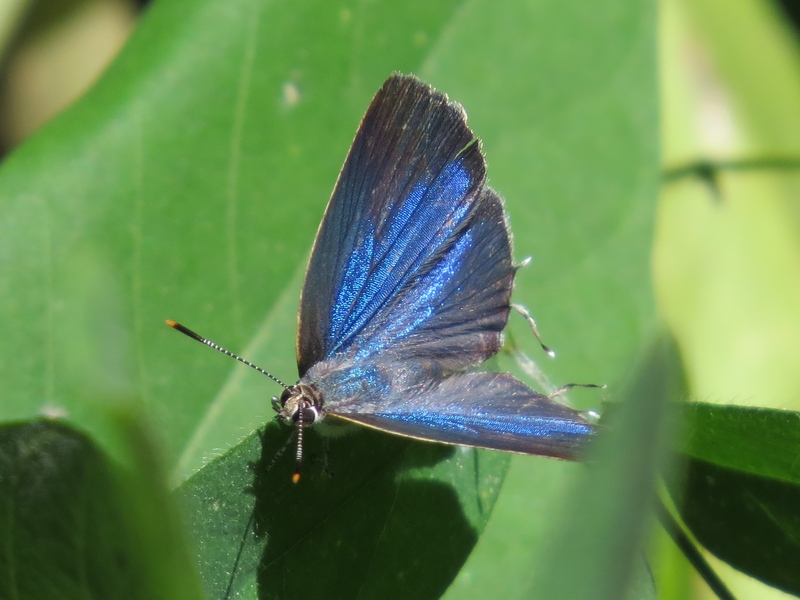 Identification: Upperside of male iridescent blue; forewing apex black; large oval black and brown patch in cell. 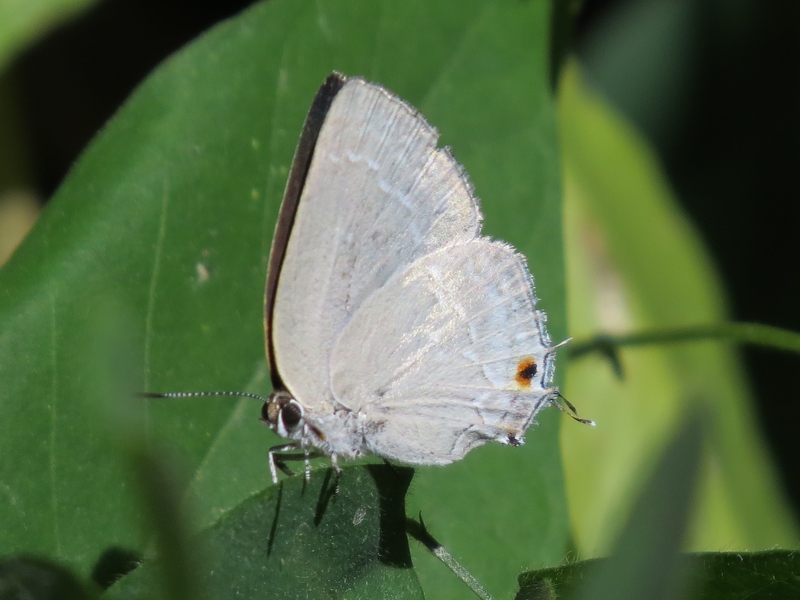 Female duller blue with blackish forewing apex. Underside pale gray with white streaks barely obvious against the background. Flight: Many flights from May-December in Mexico; November in South Texas. Adult Food: Not reported; presumably flower nectar. Habitat: Lowland tropical forests, particularly along rivers. Range: Brazil north through Mexico. Rare stray to lower Rio Grande Valley, Texas.